At Ezee Credit, we’ve put thousands of people with bad credit into quality cars, trucks, minivans, crossovers and SUVs with affordable loans and leases – even when they’ve been turned down by banks, dealers, and other lenders. Since we began in 1991, Ezee Credit has been a leader in Ontario, providing bad credit car loans and leases that help people rebuild their credit. We can do the same for you. Regardless of your credit situation, you still expect great service. That’s what we deliver at Ezee Credit. To us, you're more than a credit score. You're someone who deserves personal attention, a large selection of vehicles, and a great deal. Bad credit auto loans and leases are not only our specialty – it’s all we do. We’ve built our business over the past two decades with a personalized approach. Our Automotive Credit Specialists carefully assess your application and initially request only one Credit Bureau Report. With that information, we can identify the lender that’s best suited to your credit situation. At Ezee Credit, we have extensive experience working with lenders and setting up customized, in-house financing. We enjoy a high rate of customer satisfaction because we take the time to understand the causes of your poor credit – and how your circumstances have changed to improve your future credit profile. We can offer or negotiate better rates on your behalf by using our expertise and focused approach. It takes skill and experience to ensure you get a great vehicle with financing terms that are right for you. Your Ezee Consultant will help you get there every step of the way. 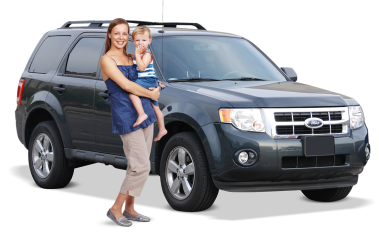 Ezee Credit carries a large, ever-changing inventory of quality cars, minivans, crossovers, SUVs and trucks for you to choose from. We hand pick our vehicles and negotiate the lowest possible prices so we can offer excellent pricing on the vehicle you select. You won’t ﬁnd older, high kilometre vehicles at Ezee. Older cars or newer vehicles with high kilometers might seem like a bargain up front, but from our experience, they generally cost you more in the long run and provide less reliability along the way. We focus on late model, low kilometre, used vehicles that are through the rapid depreciation that new cars face – but still in their most reliable years of trouble-free driving. Our vehicles are thoroughly inspected and ready to put you on the road to success. When you have poor credit, we understand that money is tight and that you may not have all the funds you need to get into a car or truck. We are often able to arrange for $0 down payment. Plus, with our in-house financing, we can offer you the ability to pay some of your start up fees over time. This let’s you start driving today and paying tomorrow – as you’re able to afford it. And we report to Equifax Credit Bureau each month to help you accelerate your fresh start. Find out what we can do for you.